The Photographer's Showcase is pleased to announce the opening of Baobab, Tree of Generations from Elaine Ling. photo-eye is pleased to welcome Hong Kong born photographer Elaine Ling to the photographers showcase. 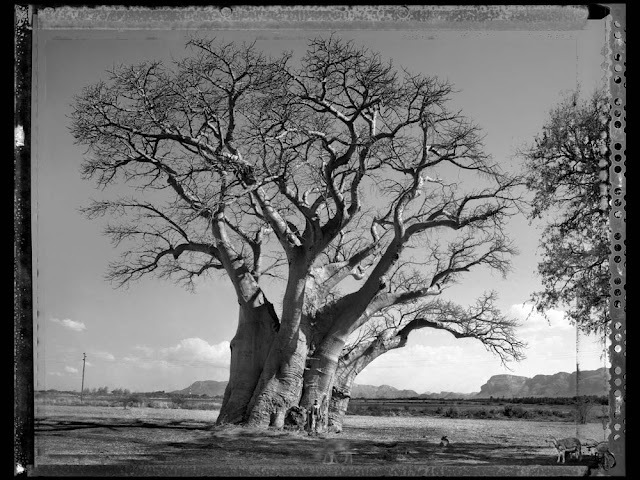 In her series Baobab, Tree of Generations, Ling has set out across South Africa, Mali and Madagascar to photograph one of the worlds most ancient living organisms: the Baobab trees. Many outside of these regions know the Baobab only from its presence in Antoine de Saint-Exupéry's The Little Prince. On the little prince's tiny planet, the Baobab is a terrible problem, its large roots and enormous form a threat to the very ground he lived on, but Baobabs on earth fill a very different role. Able to grow to spectacular size in some of the most infertile soil, the Baobab provides for the community that surrounds it. Generations have depended upon the Baobab tree, which not only provides shelter and landmark but it is also a nutritious food source in its fruit and pulp and a renewable source for materials for textiles and shelter. Living over a millennia, the Baobab trees that Ling photographed have been witness to the rise and fall of tribal Africa, seen the havoc and brutality of Western colonialism, and survived to contend with pollution and the increasing impact of man across the continent. They dominate the frame, so much so that it is easy to overlook that they are not the only photographic subjects. 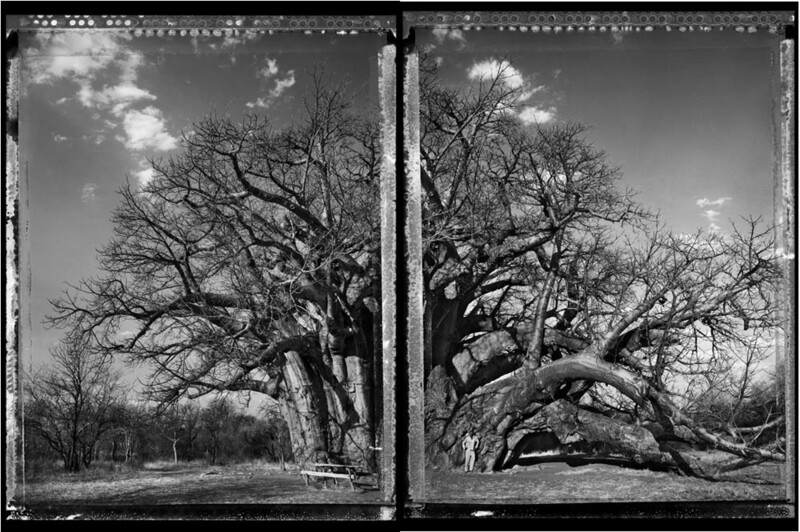 Ling’s photographs are not just documenting these mammoth trees, but are portraits of the giants and their human neighbors. 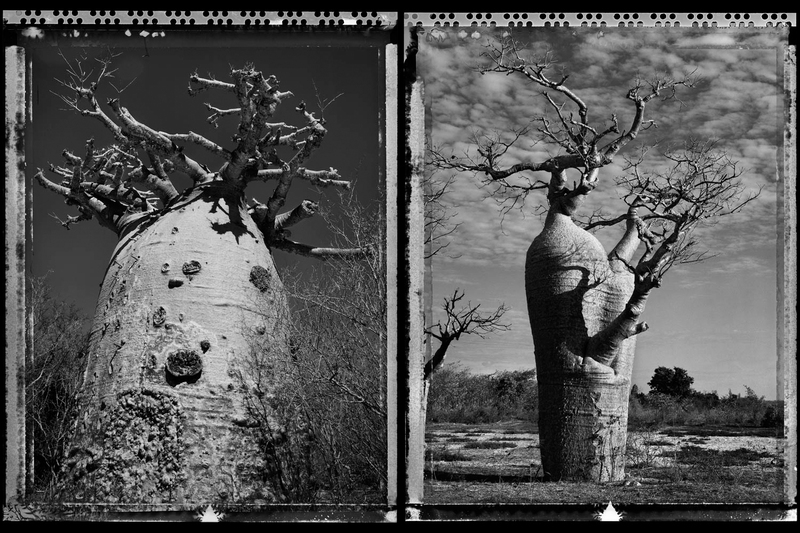 Ling says “the images… reflect both the resilience and transience of life as I partner the Baobab with a person from the community: a grandmother, a grandfather, a young man, a young woman, a mother, a boy child, a girl child.” The people Ling photographs all have a special relationship to the tree they are pictured with, trees that some villagers have lived under and depended upon for their entire lives. Ling’s representation of the trees, and her use of large format Polaroid film serves to enhance the viewers experience by reinforcing their ancient and alien appearance. With their bulbous trunks and spidery branches, the trees seem otherworldly, perhaps indicating the foreignness of such an intimate relationship with the natural world to westerners. The pictures serve as a lesson to the western audience, they speak to cooperation and balance between man and nature. Perhaps some of nature is too great simply to be ignored; rather it should be celebrated as the pillar of life and community that it is. View Ling’s work on the Photographer’s Showcase click here.